The simple answer is that the laptops using the Mobile CPU are less efficient and takes more energy to get the same thing done as on an Ultrabook. Lower efficiency means higher temperatures, shorter battery life and as a result, the need for a bigger battery pack and a bigger fan, which can get noisy. 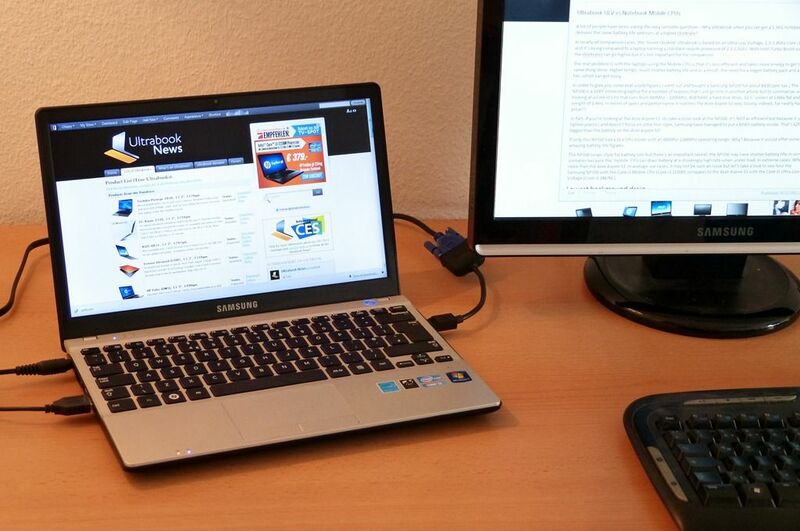 In order to give you some real-world figures I went out and bought a Samsung NP350 with a 2.2Ghz Core i3 Mobile CPUfor about €430 (pre-tax.) The NP350 is a VERY interesting laptop for a number of reasons that I will go into in another article (I’ve chosen the the NP350 to be my companion at CES this year) but to summarise, we’re looking at a Core i3 CPU that runs from 800Mhz – 2200Mhz (SpeedStep. No Turbo Boost,) 4GB RAM, a 600GB hard disk drive, 12.5” screen at 1366×768 and a weight of 1.4KG. 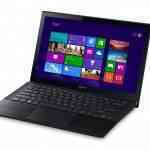 In terms of specs and performance it matches the Acer Aspire S3 very closely indeed, for nearly half the price. In fact, if you’re looking at the Acer Aspire S3, do take a close look at the NP350. It’s NOT as efficient but because it uses lighter plastics and doesn’t focus on an ultra-thin style, Samsung have managed to put a 60Wh 47Wh battery inside a 1.4KG device. That’s 62% 27% bigger than the battery on the Acer Aspire S3. Does this mean the NP350 matches Ultrabooks in every aspect? Almost. To test the drain when the platform is idle I turn off Wi-Fi and sound, put the device into power-saving battery profile, wait until all disk and CPU activity has settled and run ‘perfmon’ over a few minutes to watch the drain rates. As the screen goes off I leave the device for about 20-40 seconds and then take a look at the graph for the lowest measurement figure. Note that the difference here could simply be down to engineering. With the CPU’s at their lowest power states, the differences are probably due to board and component design and choice. I suspect the Samsung motherboard is more modular and uses cheaper components. Interestingly the Samsung is ahead in this test. Why? The CPU is barely being used and the differences could be down to Wi-Fi modules and screen backlight. The Samsung NP350 uses an Intel Centrino Wi-Fi card which I’ve measured using just 300-400mw of power for this test. In this scenario, the Samsung NP350 would return nearly double the battery life of the Acer Aspire S3 Correction: Based on the 47Wh battery of the NP350, it would return a battery life of about 150% of the Acer Aspire S3. The Acer S3 operates in an average 10W of drain in the scenario. The Samsung NP350 operates in an average 7.5W of drain in the scenario. For people looking to run a few apps in a browser, input text and browse the web occasionally, the NP350 offers a battery life of around 8 hours. That’s DOUBLE the battery life of the Acer Aspire S3 in the same scenario, with the same CPU power and weight, and much lower cost. Correction. The NP350 has a 47Wh battery capacity, not 60Wh as previously stated. In this scenario the NP350 runs for about 6hrs. The Acer Aspire S3 runs for about 4hrs. Unfortunately I don’t have test results for the Acer Aspire in what is possibly the most likely usage scenario with a number of browser tabs open, some music playing, Skype running, Office (starter) 2010 running Word, Windows Live Writer and a couple of screen gadgets running. Total processes running: around 100. The Samsung NP350 averages around 10W with a YouTube video playing. I’m extremely impressed with this figure as it means 6hrs nearly 5hrs of battery life although if we compare it to Samsung’s best, the 900X1B which uses the ULV equivalent at 1300Mhz, the power usage is down to under 7W. It’s a hint to what comes next as the mobile CPU starts to ramp up in power usage very quickly compared to the ULV CPU. Using Cyberlink Media Espresso I converted a 1080p video down to 480p and measured the power required. The Samsung NP350 CPU and GPU started working hard and Tthe CPU drain ranged from 17W in battery saving mode to 36W in high-performance mode. This high-end figure blows away the 19W drain I saw on the Samsung 900X1B. Other Ultrabook platforms I’ve tested have used between 20 and 24W for this test. This is where the mobile CPU starts to fall on its face. Under load, the power required is significantly more than the ULV equivalent for the same performance. The same effect would be seen when unzipping, spreadsheet recalculations, CPU-bound video playback, batch image editing and other CPU-heavy scenarios. Update: I left out an important bit of information in this post. The ULV processor gets Turbo Boost up to around 2.2Ghz in this scenario and performs the render in much the same time as the mobile CPU. (2:05 for a 30Mbps 1080p to 6mbps 720p H.264) The ‘area under the watt/time curve’ is much less with the ULV CPU. To test the biggest load on the NP350 I ran a GPU test and a CPU test and watched the drain go up to over 43W. On the Acer Aspire S3 the maximum drain I was able to achieve was 31W. Apart from the fact that the Samsung NP350 with Core i3 looks like a damn good value laptop, it’s clear that laptops based on mobile CPUs have the potential to drain battery much faster than a Ultrabook based on an ultra-low-voltage CPU. Not only does that mean potentially lower battery life under high CPU load scenarios, it also means that the laptops have to be designed for worst-case thermals. That means bigger fans, more air-space and heat-sink, potentially higher keyboard and back temperatures and of course, the related fan noise. The NP350 shows that it’s possible to make a light device with a big battery to compensate but this is not always the case and the NP350 certainly doesn’t deliver the style of an Ultrabook. Correction: The NP350 provides a battery size that is comparable with an Ultrabook – 47Wh capacity. Ultra low voltage CPUs are, like high-performance CPUs, some of the most complex and high quality CPUs you can have in a laptop. They will cost more but they do return some significant power savings under high-load conditions and allow designers more freedom to make laptops thinner and lighter. The question is, would you trade style for a bigger battery? The HP Folio and Samsung NP530 are two Ultrabooks that appear to be positioned in that area but i’m sure we’ll see more standard ‘laptops’ that are positioned like the NP350 as sensible, professional, high-value choices. Something that I find useful that I do with my Toshiba R830 is to set the processor speed % <100 for some of the power profiles, that way if I what it to it can limit the max CPU speed (if you get the %s just right) and therefore the power drain. It’s a great idea. It works well with mobile CPUs (as you have) as the higher % cause big power drain. You forgot to mention that the full blown i3 in the NP350 is far far faster than the ULV’s found in the new Ultrabooks. If you see the cpubenchmark figure, its like double the speed of the new i3 ULV. This is also compensated by a bigger battery. I get about 6 hours of wifi surfing with 50% brightness on. This is a brilliant figure considering the price I paid, which is about $500. I think Samsung shot itself in the foot introducing this model as most people after seeing it just did not bother to buy their Series 9 ultralight. Something I noticed recently, Samsung has reduced the supply of the NP350 into the market and made it more difficult to buy it as Samsung realises it has shot themselves in the foot and the NP350 is hindering their sales of their Ultrabook. The trade off is fine cause the NP350 is 1.4Kgs and most ultrabooks are 1.3Kgs. So for a mere pathetic 100grams, there is really nothing to shout about for ultrabooks. I’ve been watching the NP350 as well and have noticed it getting harder to find as well. Some places like B&H now mention it’s discontinued. The Core i5 ULV’s turbo boost to 2.2Ghz so no, the Core i3 2.3Ghz is not much faster. 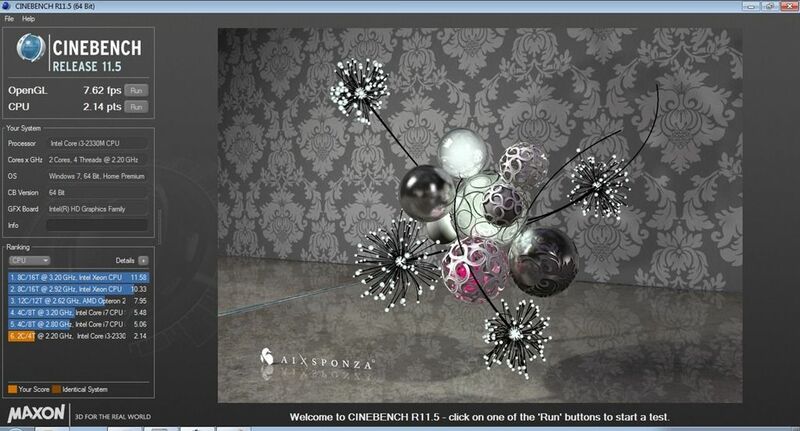 In benchmarks, Ultrabooks with Core i5 ULV are about the same. I’m interested in knowing the average clockrate and volts of the CPU’s during the tests. If I limit my clock and volts, my X220 also stays around 6-8 watts while doing office tasks similar to what you mentioned. I find that my X220’s SV Core i3 will clock up to its full 2300MHz when its not really that necessary to do so. A ULV chip might only clock up to 1600MHz or so, thus it can consume much less. I think the difference between the two CPU’s will be less if they are both limited to similar clocks. A lot of the time a task can be adequately accomplished at lower clocks than the CPU thinks it needs to be at. Like video playback. My X220’s SV Core i3 is often operating at its full frequency when playing back video, but reducing the clock doesn’t negatively affect performance. Considering a lot of things play fine at 800MHz, you could probably squeeze out more battery life by reducing the clock of a ULV CPU as well. Of course if you are playing demanding stuff like h264 Hi10p 1080p or something, this might not work so well. At demanding tasks. I’m interested in the performance at the tasks. The ULV chip consumes less power, but it is also most likely slower. Especially compared to a SV Core i5 or i7 that has Turbo unlike the Core i3 which doesn’t. Also on the topic of laptops with ULV CPU’s and big batteries. Lenovo offers the X220 with ULV CPU’s. They used to have a special thinner and lighter “s” variation just for ULV based X series laptops, but it seems like they got rid of those this generation. Even without the “s” variation this generation, I think the X220 is still the lightest Sandy-B laptop with a 9 cell battery. Wow, wow, wow. I think I’m done shopping. Now I just need to actually FIND this laptop on the deal that Michael got. It is STUPID to pay Intel MORE money for a ULV CPU when it’s just an underclocked low voltage CPU. I’d LOVE to see more testing with the low voltage CPU’s max frequency limited to that if it’s ULV counterpart and the power draw examined then. -If I can spend $500 on an LV cpu instead of an LV and get near the same power consumption, with a bigger battery and a much cheaper machine, my quest is over. I can replace the HDD with an SSD and have my “ultrabook light” for about $650. Michael, where did you find the NP350 for that price? I believe that the ULV chis are binned to run at a lower voltage than SV chips are. Though it isn’t as big as a gap as I felt this article implied, I’m pretty sure its still there. I bought it in Malaysia to be precise. Usually IT stuff are quite cheap in Asian countries such as Singapore and Malaysia. Chippy, where did you find the i3 version for 430 euros? That works for me, too! Tsuki, it’s not worth the price difference to worry about the power savings from the lower voltage binning. As we both know, many of the SV (formerly “LV”) CPUs also have the technical ability to run at the lower voltages; it’s just luck of the draw as with getting a good overclocking chip. -I think my request to see an SV chip with a clock ceiling set to the same as its ULV counterpart and the power consumption numbers compared is still a valid result and we can see just how much the voltage difference actually gets us. I’m also curious will the configurable TDP mean that notebook manufacturers could buy an SV mobile CPU and out-of-the-box configure the max clocks to be identical to the ULV cpu speeds and thereby provide a cheaper ultrabook that utilizes underclocked / possibly undervolted SV chips? On the video conversion part, you enlighted us by the fact that the mobile CPU at full speed drains way more battery than the ULV. But the job with the mobile CPU is done quicker, and it resumes back to idle quicker as well, no ? Will there be more videos converted in the battery life of a mobile CPU, than in the battery life of an ULV ? And second question : for the same battery drain (full speed Samsung 900X1B at 19W and battery saving mode at 17W for the NP350 to take your example), which one is the fastest ? Is the difference big ? I am not looking for the best battery life to have the best battery life, but I am looking for the best configuration to do the more job, in the life of the battery. I’d rather do more faster than less longer. Actually, you are right. The Mobile CPU finishes the job faster. Even web pages load quicker than the ULV. So, you get just short burst of energy taken. In the long run, the mobile CPU is far more superioir than the ULV as it finishes the job quickly and reverts back to low power needs. This can be likened to an underpowered car. Traditionally the higher the cc, the more fuel it consumers. But a 2500 cc car may use lesser fuel than a 2000 cc car if the engine in the same car struggles to carry the heavy body of the car. assuming the CPU dominates power consumption, and that both machines have the same battery capacity, the turtle (ULV cpu) will convert more video per watt than the hare (mobile/LV cpu). Remember, that power consumption depends on the square of the voltage (See: http://en.wikipedia.org/wiki/SpeedStep ) If the time limit of the race is just before the hare exhausts its battery than it will win the race but the turtle will still have battery left for other tasks. For video conversion, the screen can be blanked i.e put into a low power mode, so it will not be a significant contributor to power consumption. Disks are probably the next power hungry components after monitors, which the hare will have the advantage with (assuming the ULV computer has a disk instead of a SSD to make the comparison fair). Disks consume power when they’re spinning, in addition to when data is read or written. Assuming the disks never spin down, the hare has the advantage since disks will be idle for a shorter period. On the other hand, if the video encoder happens to read the source video entirely into memory before it starts decoding, and buffers the entire encoded video in memory before it starts writing than disks can have time to spin down and the advantage of the hare disappears. The key for maximum battery efficiency I think, is to run the CPU at a voltage (which puts a cap on frequency) so that the total power consumption due to CPU voltage and that due to the total time of a computation is minimised. Note that making the CPU run at a faster frequency to shorten computation time will increase power consumption exponentially, so the optimum voltage will be somewhere between the slowest and fastest speeds of the CPU and actually depends on what resources the computation needs: a background computation that writes to disk infrequently should run near to the slowest speed possible, other tasks need to be run at higher speeds but never at the highest speed of the CPU. There also isn’t any benefit to run at some higher speed, if the CPU just has to waste around for something else, you need more of a just in time approach. Compared to a ULV processor in the same system, is a (higher nominal frequency) LV processor capped to the same frequency able to come close to the same power efficiency for the same range of real world tasks? I’d appreciate if someone could point me to any data that can answer that question. More testing, Chippy please. @ulforv. Sorry. I referenced the same article. I read the comment on wordpress for android and thought you were commenting on another post. There’s information missing from that. The ULV part ‘turbos’ to 2.2Ghz and almost matches the mobile part in speed of processing. The ‘area under the curve’ is smaller with the ULV part. So hypothetically speaking Chippy, if Samsung had decided to go with a ULV in the NP350 instead how much guesstimated battery life would have been gained? Good question. For my scenarios (where i’m doing some video work) probably something significant but not much more than 10%. I’d love to see a ULV Core i5 version of the NP350 then I could do a driect comparison. Your wish has been granted! A version of the NP350 with a ULV cpu! Samsung has wrong info on their website. The Ultrabook alternatives are certainly leading the way in terms of total value and the (currently supply controlled) Samsung NP350 when compared to the Samsung NP530 illustrates it well. The price premium on the ULV parts seems to be the thing really keeping the ultrabook prices elevated; I’m ok doing without one in a thin, light laptop. The new Atom CPUs are going to give us a huge boost in highly efficient perf on the x86 side of the fence, and the new AMD Ultrabooks which will likely be launched on Monday will also compete with ultrabooks in the short term. Intel needs to drop that ULV chip price premium over the regular mobile parts to stay competitive; this isn’t going to change. -Having said that they are adding a number of useful features to the ULV lineup for Ivybridge; configurable TDP being the most useful one. -Does anyone know if configurable TDP include configurable voltage or whether Intel has anything like dynamically scalable voltage to go along with the dynamically scaling clocks? If you could have a CPU whose voltage and frequency could scale upwards like the current SV line, but then have the voltage, along with the frequency, scale downwards further you’d have a “Super High Dynamic Range” CPU that has the best characteristics of the SV and the ULV cpus currently. A single product line that justifies a higher price than the current SV range, but lower than the ULV range. As long as I’m dreaming, I’d like to see Intel bundle a very slow, low performing x86 Core onto their Ultrabook/Tablet-focused CPUs, like in the ARM “BIG, little” & “LITTLE, big” configurations so that we could see power consumption during minimal CPU usage move even lower. (I love the strategy ARM’s adopted here; heck a dual core Ivybridge CPU with a 3rd low perf atom core would be perfect! (The new hybrid Lenovos with their” x86+ Arm reboot into an alternate OS for better battery life” solution is absolutely ridiculous compared to it just working automatically and transparently as in the Asus EEE Pad Transformer Prime.) Lenovo is going to these extreme efforts because Intel didn’t. P.S. I’m grinning ear-to-ear that Chippy, the founder of Ultrabooknews.com, has selected an “almost Ultrabook” as his companion to take along to CES. Possibly the most informed person on the pros and cons of each Ultrabook has decided that a laptop without the exorbitant, Intel ULV CPU price premium represents the best over-all value in the normal-powered mobility space! If that’s not a statement to Intel to better align ULV vs. SV pricing, I don’t know what is. Custom binning SV CPUs and selling them at a huge markup is ridiculous (a small premium, maybe). I’d argue that the Toshiba R830 represents an even better value than the Samsung, but if you don’t like the Toshiba styling, or you want that extra tiny bit of weight gone, the Samsung looks like a great alternative. It’s simple. I couldn’t find an Ultrabook that matched my needs. the Z830 was perfect…apart from the fan noise in quiet environments. As there were no other choices before CES I had to buy something else. The NP350 is a great device but it will be a short-term solution. 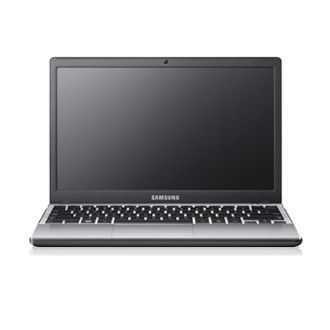 Currently Samsung Series 5 13 and HP Folio at top of my list. That’s the article above! Sorry, this article isn’t conclusive in answering whether ULV processors have a benefit compared to LV processors limited to the same clock rate. Even if you had tested on systems that are identical apart from their CPUs, there would still be problems with your methodology. Again, sorry for self reference. I thought you were commenting on another post. You are right, this article can’t be cconclusive based on two different motherboards. Balanced power mode/ profile is where the CPU is free to clock down and up. I think the figure you need to know is that under video rendering, where the ULV is under Turbo Boost and performing closely to the mobile processor at simlar Ghz, the ULV system uses much less energy. It’s at these high clockrate figures where you really see the difference. Clearly as power is a function of the voltage, the lower the voltage (for the same clock) the lower the power used. ULV parts obviously cost more but they are the cream of the crop as it were. Is it possible to under-volt a mobile CPU? I don’t know but there would obviously be risks with that if the silicon isn’t top-grade. No, what I and many of your readers above want to know whether it is possible to have one’s cake and eat it too by purchasing a system with an LV processor. It seems clear that it is possible to extend battery life of an LV system by forbidding the processor from entering the high energy consumption P-states – these do the least work per watt. Since I’m not familiar with modem Windows systems, I don’t know whether P-State restriction can be done through the control panel per comment #1 by DM or whether more ‘expert’ software needs to used as Tsuki refers to in post #6. I and some of your readers above would like to see some energy and performance benchmarks where you restrict the LV processor so that it doesn’t operate at frequencies higher than the nominal frequency used by the ULV processor. To be a fair test, Turbo Boost should be disabled on the ULV processors. In any case, Turbo boost is of limited value since it will only run for a limited amount of time if all cores are in use. If you don’t think it is valid to disable Turbo boost, please run some more tests to determine when Turbo Boost is effective, If you’re really keen experiment with overclocking and undervolting too to see if you can improve the performance/watt. Sorry to bug you about this, but there seems to be very little information around about whether systems with LV processors can be made to achieve similar battery life as systems with ULV processors. I hope this reply formats properly – we’re running out of space!! In video encoding tests and CPU load tests I see the Turbo boost settle at 2.0-2.1Ghz (Core i5 1.6Ghz nominal) so Turbo does seem to be hanging in there. Video encoding tests probably not the best due to Intel Quick Sync Video hardware taking some load. I haven’t got a Core ULV here at the moment to do further tests with. With LV and ULV running at 2.2Ghz (admittedly on different machines but with similar setups and comparable background/peripherals/ports) I see big differences between LV and ULV power drain. The area under the power/time curve is less for ULV. I wonder if I can simply measure core wattage using HWMonitor with two devicesrunning 100% CPU at the same clock. That should be fairly conclusive. Is there a way to measure CPU voltage being used? If the voltage is higher for a given clock, then the power used will be higher. Happy to do some more tests on this when I get another Ultrabook in (soon!) It’s a very interesting subject and there’s always something to learn. I will take some core wattage measurements from and LV system at 2.2Ghz with 100% load. COuld give us some clues. Thanks for bearing with me Steve. Your ULV/Turbo boost vs. nominal LV numbers are interesting. I’m beginning to wonder if the correct way to think about ULV is simply as lower clock rate chips that, at least in the case of the i5 can be efficiently overclocked. This article http://www.tomshardware.com/reviews/core-i5-overclocking,2541.html is about overclocking fiest gen CPUs without loosing energy efficiency. TurboBoost look like it can;t be relied upon to hang about for long periods. Maybe it will if the other cores are idle. I’m also beginning to wonder if benchmark results with TurboBoost and Speedtest are repeatable. Intel does not list the number of processor P-states available n their processor data sheets, let alone the applicable, frequencies, voltages and resultant TDP figures (they should be a bit more forthcoming with IvyBridge). CPU-Z seems to be a popular utility for displaying CPU voltage and frequency. If you ever get 2 laptops that are identical apart for LV/ULV processor that would be the most rigorous way to do the tests. I’m setting up a test that I think will answer the question. both running the same CPU load test. We’ll measure the power *used by the cores* (Sandy Bridge kindly reports this) and note the clockrate at the time of measurement. I’ve already done the test on a LV system. If I run 3D tests I see the GPU taking 12W. Put those together and you’ve got way over 17W TDP! There’s a package/chipset to consider too. As you say, (and this is the way I see it too) the ULV parts are simply able to clock at the same rate with a lower voltage. i.e. they are the best of the silicon batch and run much closer to the switching voltage minimums needed. I estimate we’ll see the Core i5 at around 2Ghz (all cores Turbo) performing the same benchmark and returning a very similar result in about 12W. The results will come later as i’ve got a good contact on the job with a UX31 right now. I know there will be system difference but we are measuring the Core power only and we’ll have the clockrate to work out a power/100Mhz figure. Do note that Intel Turbo is able to go over TDP when cooling is sufficient. A 17 watt TDP ULV CPU that is Turbo’d is more than capable of using more than 17 watts. I know that Lenovo offered the X220 with a ULV CPU option. I can run power consumption tests with the clean factory image for my 2300MHz i3 if someone is willing to do the same with an X220 with a ULV chip that turbos to 2300MHz. Here’s a sneak peak at the results I got. Measured at the CPU, not on the system, the ULV CPU used 21% – 28% less power than the LV CPU for the same clock rate and workload. I’m writing the results up. Could take a while before I’ve checked them through enough times to post them but it looks like the answer is ‘no’ you can’t reach the same efficiencies on a LV CPU as you can on a ULV CPU. I wonder why they don’t make specially binned semi-ULV chips that run at normal clocks, but at similar voltages to ULV chips. Best of both worlds. Its a good question. What limits the upper clock on a ULV CPU? Ivy bridge ULV will Turbo to 3.0Ghz. Why not 3.0Ghz all the time given the right cooling? Update: The new, cpu-focused test results have been published.